Yesterday finally my first MeMeBox arrived! I first wasn’t sure if I should order it, but after seeing so many boxes I simply had to try one box at least and ended up ordering two XD. This one is MeMeBox No. 6 called “Stay well and happy this winter”, contains a lot of nice products for winter skincare. MeMeBox comes in a small pink box. It arrived via EMS although I ordered standard shipping, which made me really happy in first place. 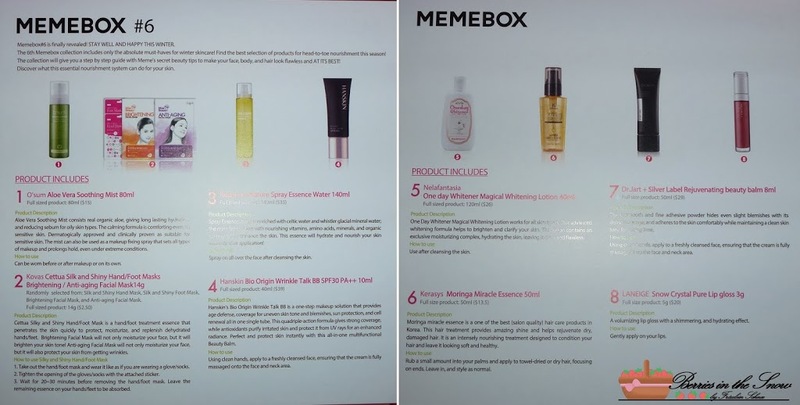 What is MeMeBox? 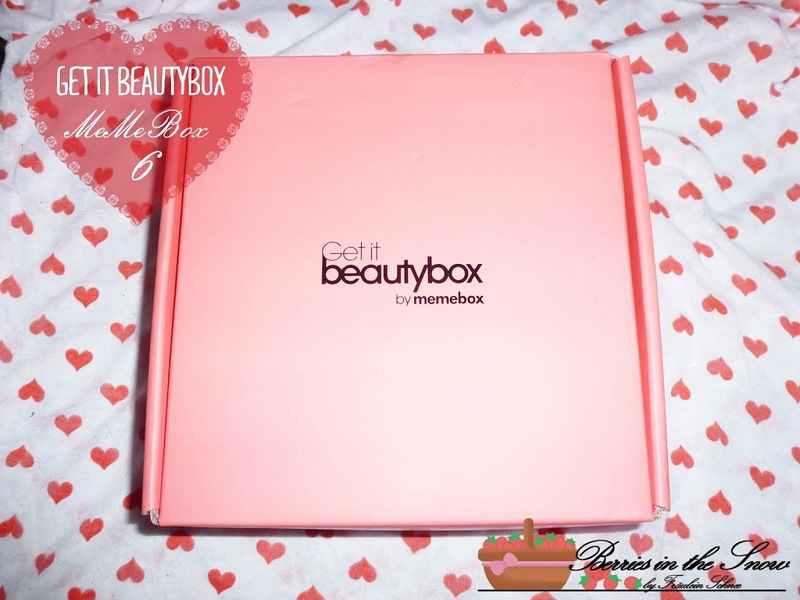 It is a monthly beauty box for mostly Korean makeup and skincare products. Unlike most beauty boxes it is not a monthly subscription box, instead you can order all boxes which are available and you want to order. They sell out quite fast, especially since they gained a lot of popularity in the blogger community. You can see, that nearly no space was left in the box. That’s definitively a plus! The box included an overview card where all the products are listed and described shortly (if you click to enlarge the image you will be able to read the text). This is an aloe Vera Soothing Mist which can be worn before or after makeup or on its own. It contains natural ingredients and is suitable for sensitive and dry skin. This seems to be a nice product. Aloe Vera is always good for dry skin in winter, so I’m curious to try this. Also, O’sum is a brand I heard of before and was curious to try anyway. This is a brightening sheet mask for the face. It doesn’t contain parabens, fragrances alcohol or pigments and thus might be a nice mask for sensitive skin. I didn’t try it yet, and it is the least spectacular product in the box, but still nice, since I love using sheet masks and it fits to the topic of the box. This spray essence water contains a lot of beneficial skincare ingredients like minerals and vitamin and is supposed to nourish and hydrate the skin. It also contains essential oils. It doesn’t contain mineral oils, synthetic fragrances, synthetic dyes, Triethanolamine or parabens. It is suggested to use this after cleansing the skin. I used it already once and I applied it after cleansing and toner. I love also the design of the packaging and from my first impression this is one of the highlights in this box for me. The design of this whitening lotion is very girly and reminded me at Lioele’s design. This lotion creates a temporary whitening effect and can be used all over the body. I used it on my elbows and knees and it does show some differences. I didn’t try it on my face yet. This is the second highlight in the box. I love hair oils. They make my dry and frizzy hair look at least a bit more healthy. Also, I love the scent of this one. Funnily I’m using a Moringa scented Shower gel at the moment, so it fits perfectly. XD The design of the product reminds me of “Kerastase”, a salon brand you’ll find often here in Germany (and Europe ?). Another BB cream from a brand I’ve wanted to try but never did, until now. :D Again the tube contains very little and you have to put some pressure on the tube to get the product out, which feels like the tube is half empty. The BB cream has again a shade, which might fit to my skin, luckily. Okay, this is probably the worst product in the box. First of all, I heard the same product was already included in another previous box, which is disappointing for those people. It is also the same color, which makes it even worse. The price for this lip gloss is also not justified in my eyes. It is a normal lip gloss with shimmering particles. Nothing I would buy personally. All in all, I’m happy with this box and I can ignore the Laneige lip gloss. 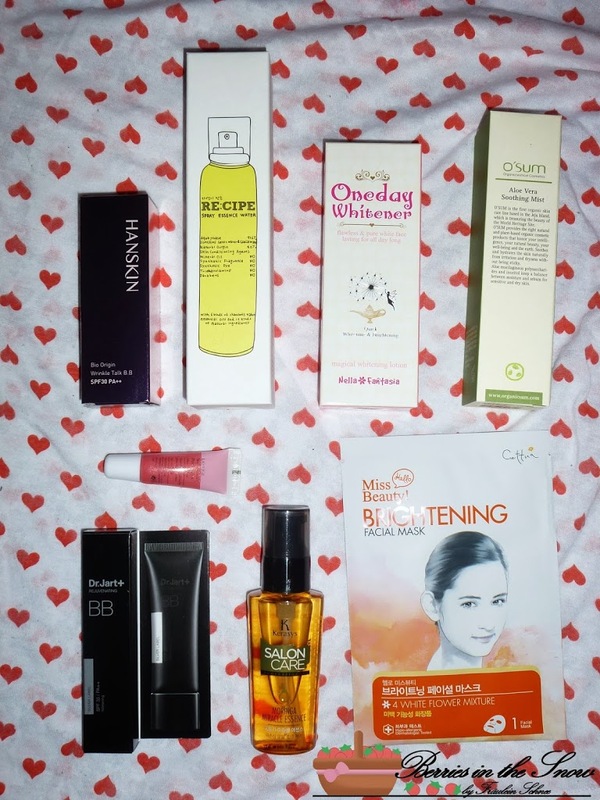 All other products will be used and I’m already curious to try and test them and write reviews for all of them :D The products are well balanced, there is some makeup, some skincare and something for the hair as well. Some boxes had foot or hand masks instead of facial masks, which makes even more diversity. This box cost US$ 23 and US$ 6.99 for standard shipping (although it came with EMS in the end-yeah!). I’ve ordered another MeMebox (No. 8), too, and I hope that the box will be as nice as this one. Another thing: I received an email from MeMeBox today that they will stop shipping outside US, Canada and Japan. this would be sad, because it means Box No. 8 will be also the last box I will receive from them. :( also, they change their homepage, so it might be you won’t be able to access their web page today. What do you think about the box? any product you like most? Hmm, maybe they aren’t shipping outside of the US, Canada, and Japan because of customs issues? Not sure but hopefully the shipping returns ASAP. This box looks like it has a lot of great picks. I’m really dying to try those BB creams, especially Hanskin because I’ve heard great things. This box was really a nice box. I do not regret byung it. Maybe it’s true that they had problems with the custom service. Nevertheless I hope they will continue international shipping soon. It has good products but I am the type of person who likes to know what I’m paying and there are boxes that things do not always please me. It is a pity not to make deliveries around the world (it looked too good to be true). This last box is not as great as the good Memebox 4 and it is a pity that you can not afford to buy this box. MeMeBox 4 was also a great pick. Hope they will introduce international shipping soon. This box was nice too. But I can understand if some people don’t want to try those boxes because you don’t know wether you’ll like it or not. 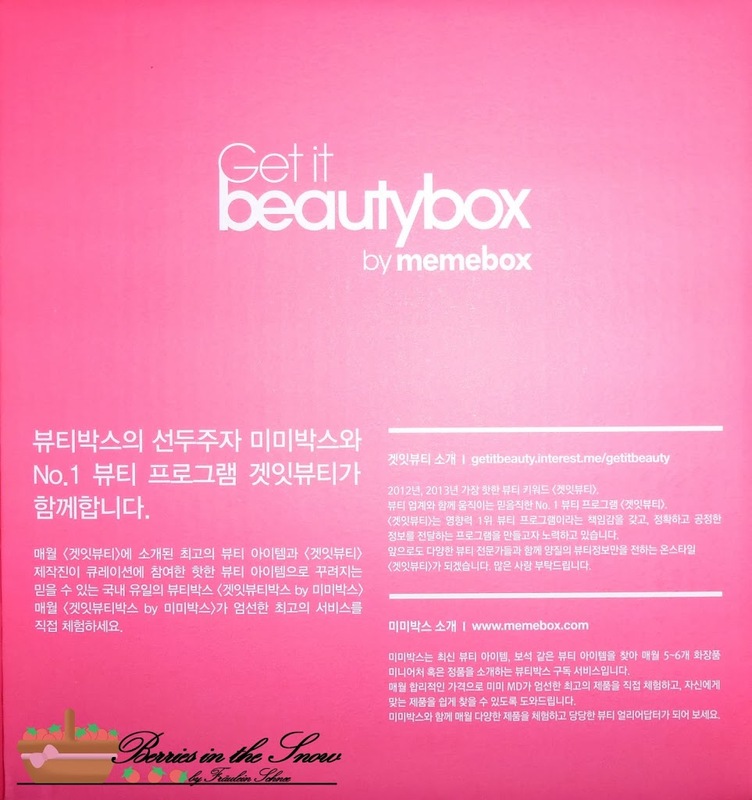 I have heard mixed reviews about the MeMeBox! I am not sure whether to order one or not!!! I was not sure either, and when I decided to try MeMeBox 4 it was sold out XD…so I ordered this box and shortly afterwards no. 8 and no. 10. I hope the other two boxes will be nice aswell. And hopefully they’ll continue international shipping after 31st of March. I hope they’ll continue the international shipping soon. I’m looking forward to my last boxes and I hope they will be nice as well. I really want to try the spray essence water, sounds like a great product! I was wary about ordering or not as well. And finally I ordered. This box was really nice. Hope the other remaining boxes I ordered will turn out as nice as this one. I’m really into facial sprays so I would have been very excited about the Aloe Mist and Spray Essence! I agree with you on the lip gloss though… I think it’s too soon for a repeat product. The rest of the box is interesting though, so I’d say it’s still good overall. Die Produkte aus dieser Box sind toll *V* Hanskin, Dr. Jart und Laneige finde ich super! Wann bekommst du die Nr. .8 ? Ich bin auch super happy über die Markenauswahl. Nummer 8 sollte in 2 Wochen ankommen und heute habe ich Nr. 10 bestellt um meine Bonuspunkte nicht verfallen zu lassen, da sie ja nur noch bis ende des Monats nach Deutschland liefern :/ Ich hoffe die Boxen sind auch gut. Ahhhh, I’m so glad I stumbled on your blog to learn there is a Korean beauty products version of beauty boxes. I am happy with my Ipsy subscription, but have recently been obsessing over Korean beauty products. I just pre-ordered the May Memebox, so I’ll need to wait quite a while, but excited I know about this now. I see you have a lot of Korean product reviews, so I’ll be checking those out in the meantime! Danke!